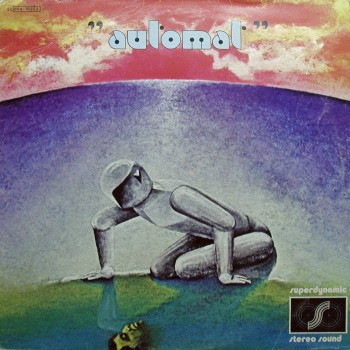 Rather unusual choice for an italian 70's band, Automat were a studio group from Rome, featuring two keyboardists and a third member, Mario Maggi, helping on keyboard programming. Maggi was also the builder of the MCS70 synth used on this record, and the new instrument's sounds and capabilities were the main source of inspiration behind this album. During their short life Romano Musumarra also had a very different musical career being a member of the well known pop group La Bottega dell'Arte, that was active between 1975 and 1984 with many chart hits. The other musician, Claudio Gizzi, had a classical background. Their 1978 album is a rather unique example of instrumental electronic music from Italy, totally built on synthesized sounds and rhythms, it's in the same rank as contemporary works by Kraftwerk and Jean Michel Jarre, whose Oxygene was recorded in the same period and released just a few months before this, so it can be an interesting surprise for fans of this musical style.Side A is totally taken by the long Automat suite by Claudio Gizzi, while the B side contains three shorter tracks by Musumarra. One of these, Droid, was a leading theme on the brazilian Globo TV. Musumarra has kept composing keyboard music in the 80's, with soundtracks (he's particularly active in France) and production works.Claudio Gizzi appeared with a single track, as arranger and conductor in the My favourite tones LP, issued in 1973 by the legendary Picci label. IMHO just an electronic space lp,with hidden hints of italo disco(especially the song Droid,which in the early 80s was covered by the italo-disco band Mito,and many Greek and Brasilian visitors will recognise it as it was massively used at tv spots background music). "Droid" also was a huge italo disco hit for Hipnosis around 83. The original version, however still rocks without a doubt..